Mollie Dagg pictured being presented with her All Ireland Girls under 16, 2nd level College Handball Championship medal in Kingscourt yesterday. 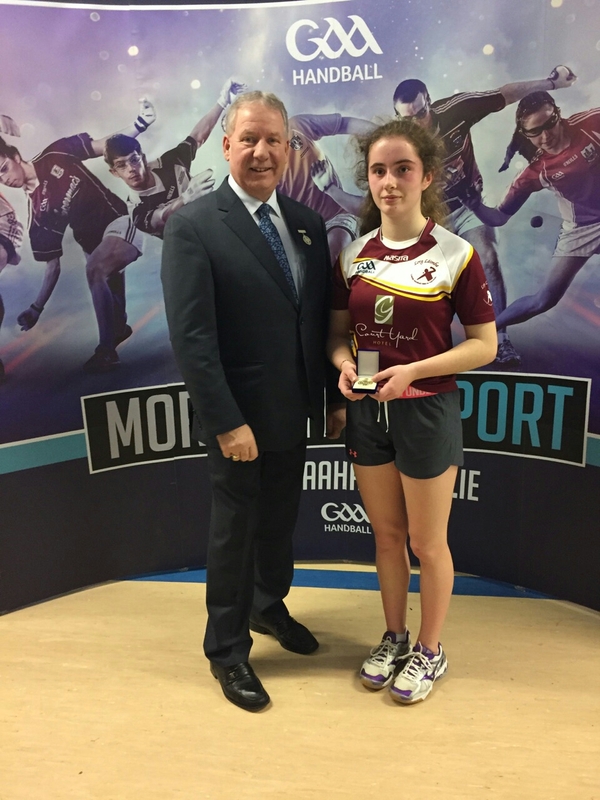 Mollie played Niamh Heffernan The Connaught champion in the semi final and won 3.15,15.14, 15.7. In the final she came up against the Ulster Champion Mairead Fox, Loughmacrory and won 15.12,15.2.